This is the Hindi dubbed version of the original Malayalam Film 'Madanolsavam'. TheTamil version is 'Paruvamajhai' . When this film was dubbed, the song#DD1 was also translated into hindi. 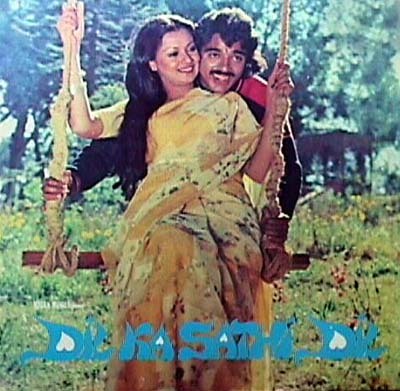 But, there was already a hindi song (KU2) with the same melody in the film 'Kuhasaa' sung by no other than Yesudas! Similar thing happened with the song#DD2. Out of nowhere appears another 'unknown' film called Mera Damaad (release date 1995) with another hindi version of this song. Sometimes I think Salil just lost the track(no pun intended) of his version table !